Many high school athletes have to get past an injury or illness during their sports careers. A torn ACL here, a broken hand there, or a bout of the flu. It takes time, patience, and a lot of hard work, but it can be done. Now imagine that same high school athlete getting struck down by four such instances, in a period of just 11 months. 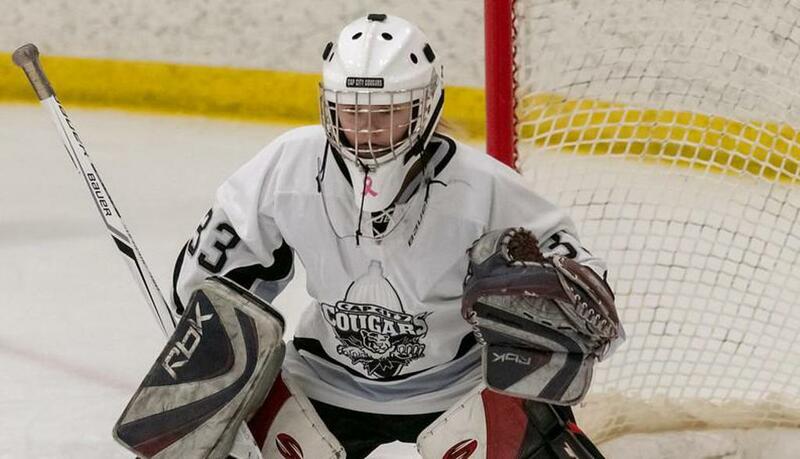 Meet Jenna Jager, former defenseman/goaltender/cheerleader for the Cap City Cougars. 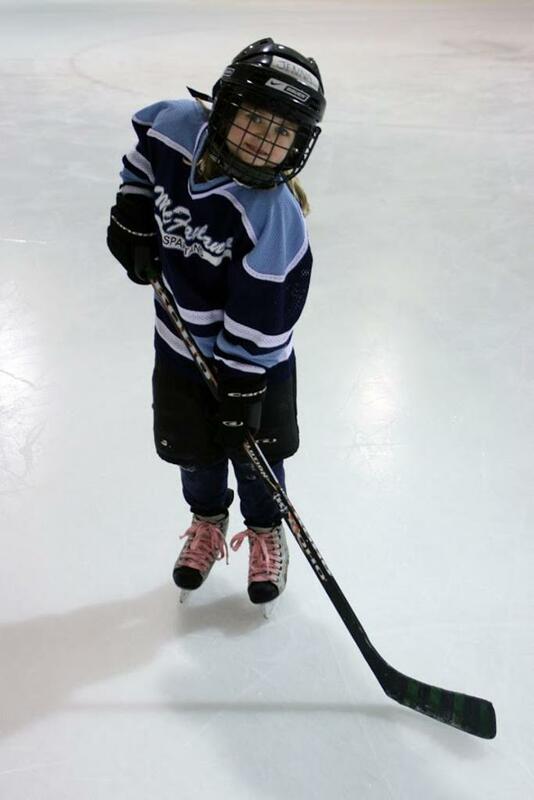 Jager started playing hockey when she was four years old, following in the skate tracks of father Mike. 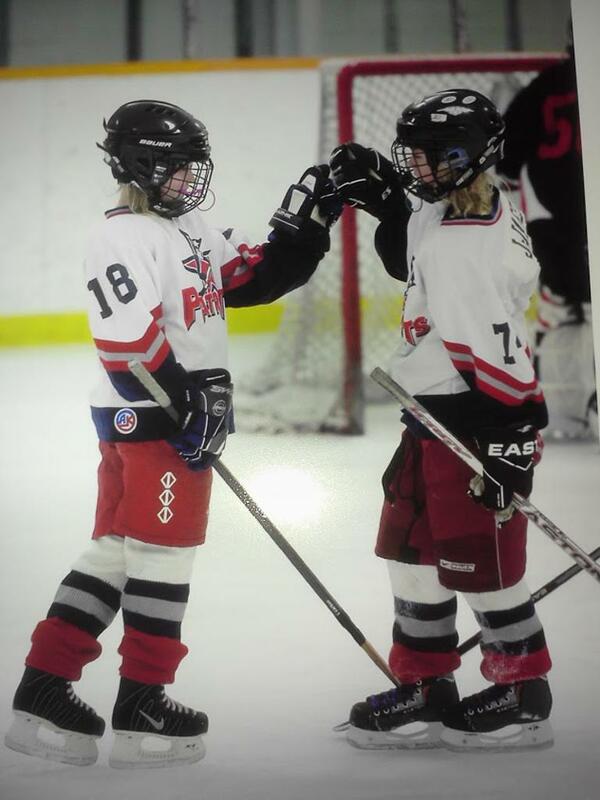 She played mite hockey in McFarland and then spent the next several years competing for the Madison Patriots. After using up her bantam eligibility, she became a Cougar. 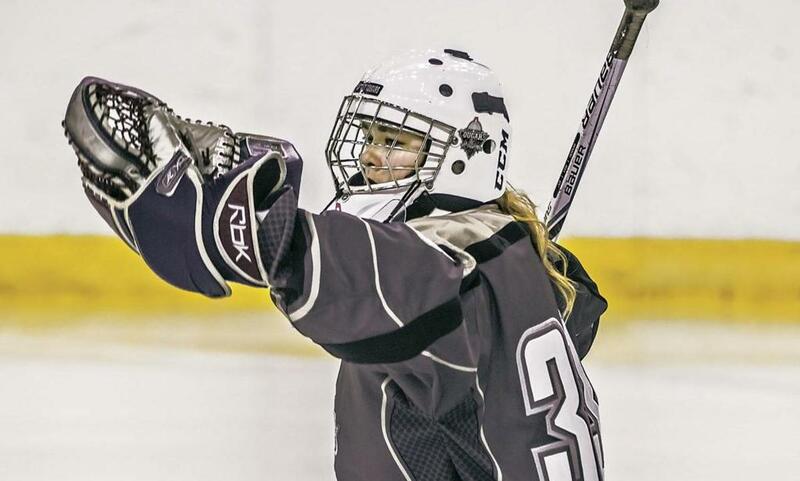 After her junior hockey season ended, Jager was on cruise control in her life. “School was going well and I was in good health,” remembered Jager. In April 2018, her world turned upside-down. Three weeks after blowing out the candles on her 17th birthday cake, she became sick. The doctors recommended that Jager be taken to the hospital, so off they went to Children’s Hospital in Madison. More tests, more waiting, more bad news. Jenna Jager had Crohn’s Disease. Crohn’s Disease is an inflammatory bowel disease that causes inflammation of the digestive tract, which can lead to abdominal pain, severe diarrhea, fatigue, weight loss, and malnutrition. Jager found some relief by taking regular medications, and after getting acclimated to the new meds and getting caught up with all her missed schoolwork, life was improving. “I was almost back to normal,” Jager noted. And since nothing in Jenna Jager’s life is easy, another curveball was flipped toward her. Well, it was more like a 100 mph fastball fired straight at her head. Jager suffers from migraines and one day in early June she experienced another one. She tried anything and everything to alleviate the pain, but the terrible headache was winning the battle. And just to show who was the boss, the migraine took the war to a new level. “There was a numbness on my left side and I lost vision in my left eye for 5-7 minutes,” said Jager. Jenna’s mom Sheila, who also suffers from migraines, thought Jenna might be having a hemiplegic migraine, which is a rare and serious type of headache that mimics the symptoms that are similar to those of a stroke. The Jagers made another trip to the emergency room and after being admitted, Jenna had a CT scan done. Jenna had had a stroke. After an overnight hospital stay, Jenna couldn’t walk by herself, couldn’t make it to the bathroom without a nurse, and couldn’t do a simple thing like cut her own food. That is pretty scary stuff for a 17-year-old. The cause of the stroke was never found, but Jager is pretty sure it was related to the migraine. Once again, Jenna had to start over, not only in athletics, but in everyday life skills. When the swimming season began, Jager competed for varsity and was named captain for all her efforts. She set PRs (personal records) in both of her events, the freestyle and breaststroke. Her confidence was growing and once again, Jager was on her way. In October, the Cougars met for captain’s practices and Jager was improving in net, to the point where she was named the starting netminder for Cap City. As the season wore on, she played in nine of the first 12 games for the Cougars, compiling a record of 3-3-3 with a save percentage of nearly 89%. The senior also notched a pair of shutouts, including what was probably her best game, a 28-save blanking in a 0-0 tie at Rock County. Things were going well, but then came game number 13. A couple days prior to the January 10th game against Arrowhead, the Cougars were working on a screening drill in practice. A shot hit Jager in the collarbone and although a trainer came out to check on her, he didn’t seem to find an issue and she continued practicing. “I thought it was just a bruise and would be fine,” remembered Jager. Then it was time for the Arrowhead game. As the Cougars skated on to the surface at The Ice Pond at Waunakee, Jager did her best to ignore something that didn’t seem quite right, which was a clicking noise every time she moved her arm. Midway through the third period, with the Cougars leading 1-0, Jager made a shoulder shrug with her blocker on a save opportunity and felt something pop. She soon got a whistle on a covered puck, and after seeing there was a problem with his goalie, Cap City coach Jeff Thornton came out and after a brief discussion, thought that there might be a collarbone issue. Helped off the ice, Jager made it to the locker room, got undressed, and made yet another trip to the emergency room. By the way, Jager played 42+ minutes and saved all nine shots sent her way in the abbreviated appearance against the Warhawks. All with a broken collarbone, as the x-rays would later confirm that night. “I thought my season was over,” noted Jager. She spent the next six weeks in a sling and her official job was head cheerleader. Then she was officially cleared and started to resume practices in late February. Jager was ready to go for the sectional final, but once again was sidelined, this time by a virus and pink eye. Freshman goalie Taylor Knox played great in relief in the sectional final, making 33 saves in a clutch effort as the Cougars pulled off a 5-4 OT victory over Onalaska to make it to state for the third straight year. When Semifinal Friday rolled around, Jager was ready. Although the opponent was the Fox Cities Stars, Jenna was confident. The two teams met earlier in the season in January, with the Stars running away with a 7-0 thrashing of the Madison-area team. Jager had stopped 14 of 21 shots in the game. Two months later, Jager put the past out of her mind and vowed to make the most of what might be her final high school appearance, which just happened to be on the biggest stage in Wisconsin. The Cougars did battle hard, and held the high-flying Stars to just three goals, but it wasn't quite enough as the Stars pulled out a narrow 3-1 victory. 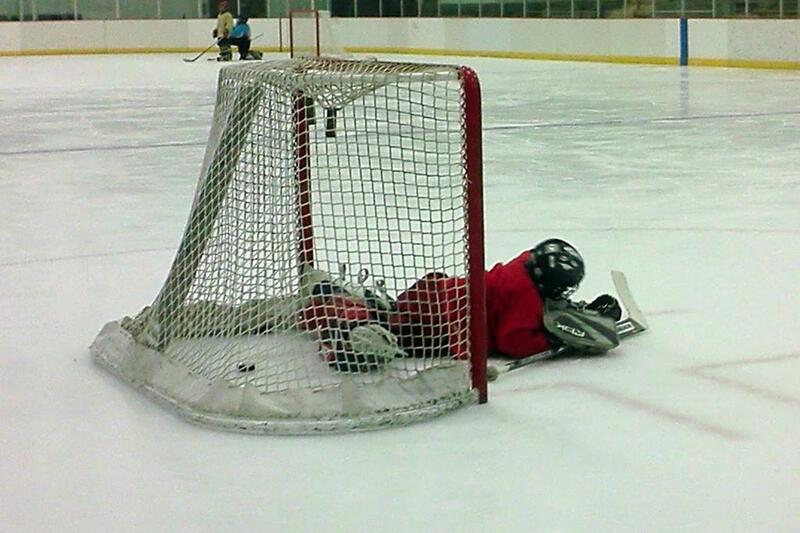 Jager stopped 26 pucks and earned All-State Tournament honorable mention status for her heroic efforts in Madison. “This season was one I won't ever forget,” said Jager. “Through my career as a Cougar, and especially the last two years, I learned that you can’t give up no matter what comes your way and that you have to fight that much harder than everyone around you. My teammates supported me throughout all of my ups and downs. And Jenna, we can't forget all you have gone through and still accomplished more than most people.